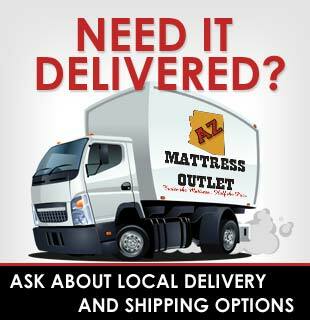 AZ MATTRESS OUTLET supports Arizona State University! 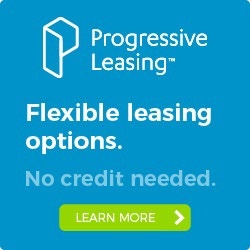 We are a local family owned and operated business and we know school is not cheap. We have family members in attendance today. Don’t let a lack of sleep affect your student’s education. We offered ASU Student Discounts! Studies show that sleep is critical to students. You are making a huge investment in your education…make a small investment in a bed that will support healthy sleep habits. The following is some information on the costs and potential changes at ASU. The cost of a college education varies from student to student. Differences such as your major, living arrangements, residency status and other variables mean the cost of your college education might not be identical to your classmates. Arizona State University has submitted a proposal to the Arizona Board of Regents that includes no tuition increase for resident undergraduate students, and a modest tuition increase of 3 percent for non-resident students during the 2014-2015 academic year. • Arizona State University is among the top producers of U.S. Fulbright student scholarship winners, tied at third place in the nation with Princeton University and Rutgers University. • ASU is ranked 79th in the world by the Academic Ranking of World Universities, 46th among all universities in the United States and 25th among all public U.S. universities in rankings compiled by Shanghai Jiao Tong University. ASU’s tuition and fees have historically cost less than comparable institutions. For the 2013-2014 academic year, costs were $5,313 (18.3 percent) below the average and $5,478 (18.8 percent) less than the median of peer institutions. The tuition proposal includes a student athletic fee of $75 per semester. The fee was initiated by Undergraduate Student Government (USG) and Graduate and Professional Student Assembly (GPSA) leadership. USG senates and the GPSA unanimously supported the fee. The fee allows for institutional reinvestment in academic support areas for all students, strengthens both graduate and undergraduate academic experiences and enhances student engagement in athletics. Students will have access to all athletic contests at no cost, and will benefit from an enhanced game experience in Sun Devil Stadium, Wells Fargo Arena and other athletic venues. While the tuition percentage increase proposal is similar across the board for all students, the specific dollar amounts of the proposed increase depend on students’ current base tuition, which is determined by major, the year they entered ASU and the campus at which they study. There will be no new increase in any undergraduate tuition differential, academic program or class fees. Thank you for your support of small businesses. We accept phone orders and offer same day delivery. Students from The University of Arizona U of A, Grand Canyon University, and other Arizona schools will also receive a student discount! Come see our amazing selection of Sealy, Simmons, Serta, Sterns & Foster and other Brand Name mattresses at clearance prices! We are just down the road from ASU in Tempe. We will beat anyone’s prices on the same bed (see store for details). We have daily Sales on different items and offer bed frames at a discount with the purchase of a mattress set.